Back in Mac OS X Mountain Lion, Apple added a new feature called Safari Web Notifications. This new feature allowed users to subscribe to website updates, then receive push notifications right inside of Notification Center whenever website content updated. This can be a great feature, or, in some cases, an annoying one. 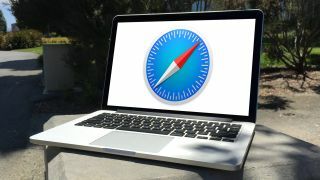 In this article, we'll show you how to manage your Safari Web Notifications or even get rid of them entirely. To subscribe to a web notification in Safari, you'll first need to visit a website that allows web notifications. CNN.com is a great example of a site that provides useful notifications to Safari users. When visiting the website, you'll be prompted to subscribe or choose to not be asked again. Clicking subscribe will add your Mac to the subscription list, and you'll begin receiving push notifications on your Mac when website content updates or whenever CNN decides to send out breaking news updates. If you wish to view the websites that you're currently subscribed to, or you change your mind about not wanting notifications, then open Safari and open the preferences (press Command + , [comma] for a shortcut), then click on the notifications tab. A list of all the websites that have offered you notifications will be displayed. Here, you can view all of the sites that you're subscribed to and revoke notifications from any of these sites if you wish. You can also click on "Allow" to ensure that a particular site can send you push notifications. Additionally, you can remove any websites from this list by selecting them and clicking "Remove" or remove them all by clicking the "Remove All" button. From the Notifications tab within Safari's preferences, you can allow, deny and remove website notifications. 2. Navigate to Preferences > Notifications. 4. Uncheck the option for "Allow websites to ask for permission to send push notifications." This will remove all current subscriptions, plus keep websites from asking if you'd like to subscribe in the future.